We can provide you with Copper Wire Scrap (Millberry) 99.99% purity, Consist of clean, untinned uncoat unalloyed copper wire and cable, not smaller than No.16 B & S wire gauge, free of burnt wire which is brittle. 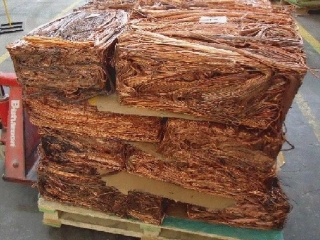 Hydraulically briquetted copper subject to agreement. be separated from any other kinds of copper wire. Interested buyers should please contact for more information.